Bedroom with barn door bring you to classic feature. Moreover, it helps you to save the space. This barn door will be so much recommended for a small room. Keep the room form clutter with simple decoration. 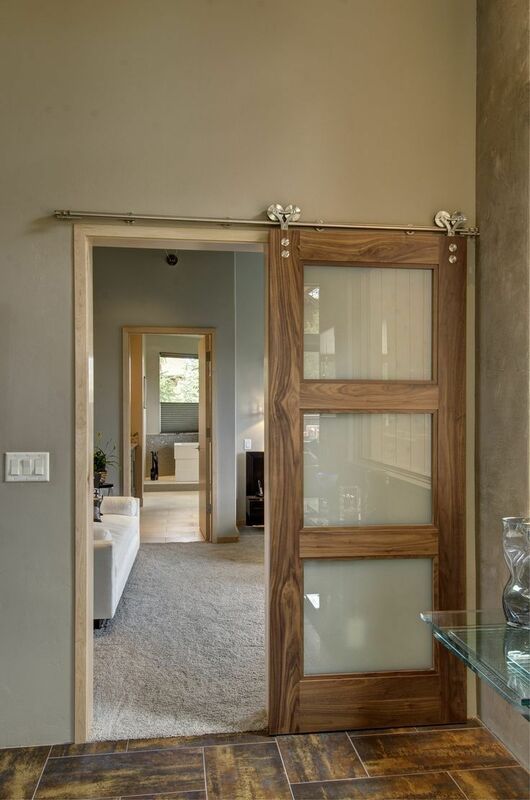 Barn door works beautifully form modern or classic home style. Large X barn door with dark green color is rustic bedroom style. However, applying it for modern bedroom style will give a touch of different. You can create it by yourself with simple carpentry techniques or ask somebody to help you. Black barn door perfectly gives classic touch for this bedroom decoration. Bay window and the geometric carper work together create sophisticated design. Furthermore, an amazing chandelier hang on ceiling improve the look. White bedroom makes larger. Then, grey comes to give vintage atmosphere. With grey barn door, rug, and side table aimed to show cozy environment. Moreover, a chair appears to give new statement to avoid pale. 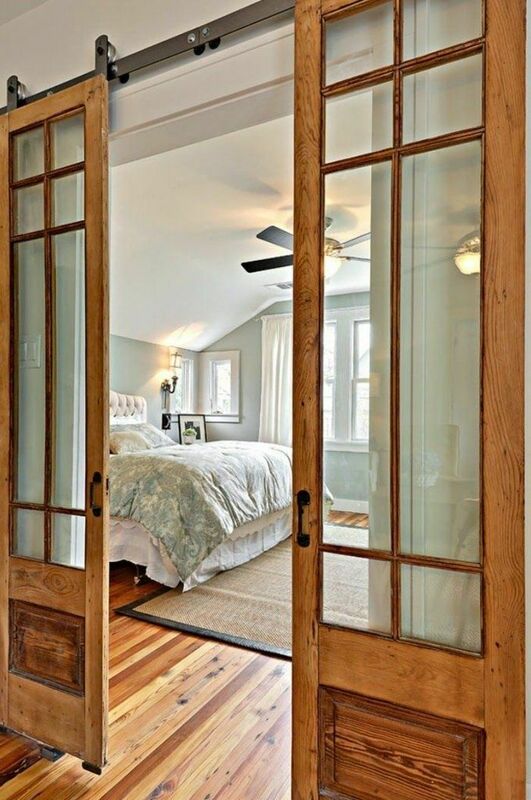 Sliding door in double glass style seems more adorable. With wooden floor, this room looks natural and fresh. Don’t forget to rug with simple design. This country style bedroom looks better with unique chandelier. The smoked glass keeps the privacy, but still let some light goes through. One side glass barn door is enough for a simple look. Combine with wooden floor and create more adorable country bedroom decoration. Wooden pallets barn door is great for farmhouse style. With stainless steel wrist eventually bring this door looks great. No need more accents; it already shows the beauty. Decorated from solid wood, it becomes warm and cozy. When you come to Spain or Portugal, a rustic room likes the picture give more vibe than you need. Applying this barn door need not more money to buy the materials. Redeem wood barn door also can be one of the best choices for a rustic house style. Dark color makes this door looks fabulous. Further, this barn door is also great to be applied at modern house style. White always elegant for anything included barn door color. This is combined with the wall at same color to create larger room illusion. Then, this rustic bedroom decoration is recommended for you who want to get better rest.